“Faster boots and faster program loads compared to a hard drive.” — Hiren P.
Imagine clicking on a program and having it load immediately. That’s the power of an SSD. SSDs also enable “instant-on” performance — the ability for your system to boot almost immediately. Because SSDs don’t have to mechanically seek out data on a moving platter (as a hard drive does), they help your system achieve instant-on performance. “Faster backups, faster antivirus full system scans, faster everything!” — Ruben F.
The improved data access capabilities of an SSD allow you to toggle multiple programs with ease. From backing up your data to running antivirus system scans to accessing apps, websites, and playlists, an SSD enables you to multitask like a pro — with little to no lag time. “Lower energy consumption.” — Jason C.
Because SSDs don’t have small moving parts, they require less energy to operate and can increase the life of your laptop’s battery. “Low temperatures when in use.” — Leon C.
Because SSDs access data using flash memory rather than seeking it out on a spinning platter like a hard drive, they’re able to maintain more consistent operating temperatures, which can help keep overall system temps down. “No noise, [and they] run cooler as no moving parts to generate heat.” — Joe B. Because SSDs stay cooler than hard drives, your fan doesn’t have to work as hard, which means less fan noise and quieter overall performance. That humming sound you heard when using a hard drive? Gone. “Higher survival rates after a drop/accident … that alone is priceless. Anyone who has ever had to do data recovery knows what I’m talking about.” — Lisa C.
Because SSDs don’t have small moving parts that are easily susceptible to damage, they can be thrown around and still retain your important files and information. Designed to reliably store your data for years, SSDs offer additional shock and vibration resistance for travel-tested durability. 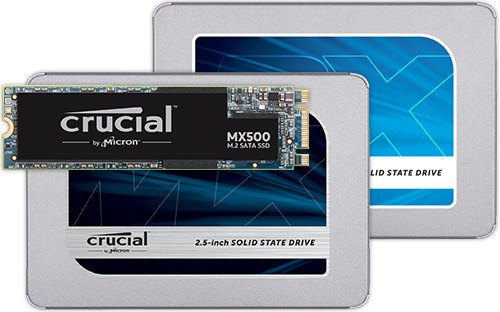 “You can use them like a flash drive if you have a hot swap bay or dock.” — Nicholaus R.
SSDs are available in multiple form factors, and some form factors (like mSATA) are able to plug directly into your system’s motherboard, allowing the drive to act as a cache drive or to work alongside your existing hard drive. What’s more, with a USB cable, you can use an SSD like a giant flash drive — just plug it in! “Faster load times in games so you are the first to load into a battlefield.” — Travis D.
For gamers, the faster data access speeds of an SSD help enable faster load times, so you can spend more time playing and less time waiting. Many gamers love using SSDs because it means they’re a step (or a load) ahead of the competition, giving them an increased chance at first strikes and a more seamless gaming experience. Learn more about SSDs and gaming. “Waiting is overrated.” — Marcin M.
With our step-by-step videos and install guides, installing an SSD couldn’t get any easier — no computer skills necessary! Just grab a screwdriver, your system’s owner’s manual, and one of our Easy Install Kits and we’ll walk you through the process. Read about the installation process here. 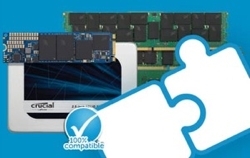 “To me, it’s pretty simple: the main reason to get an SSD is to save time. Be it booting up, loading applications, general OS responsiveness or intensive operations, a good SSD will save you time so you can focus on what matters.” — Jesse P.
Because computers are used to accomplish a wide variety of personal and professional tasks, the increased speed and efficiency of an SSD means that you’ll have the ability to get more done in less time. Life moves fast — your computer should too. 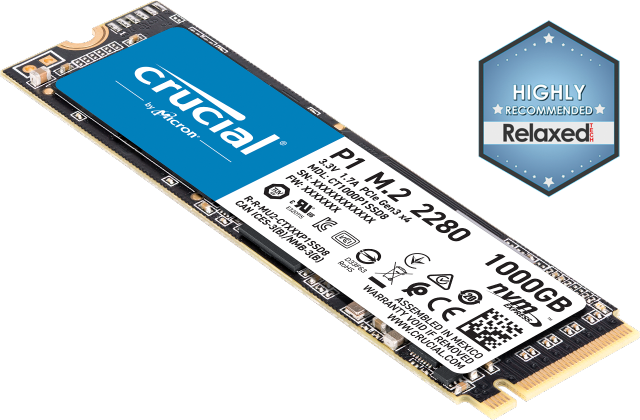 Interested in an SSD? 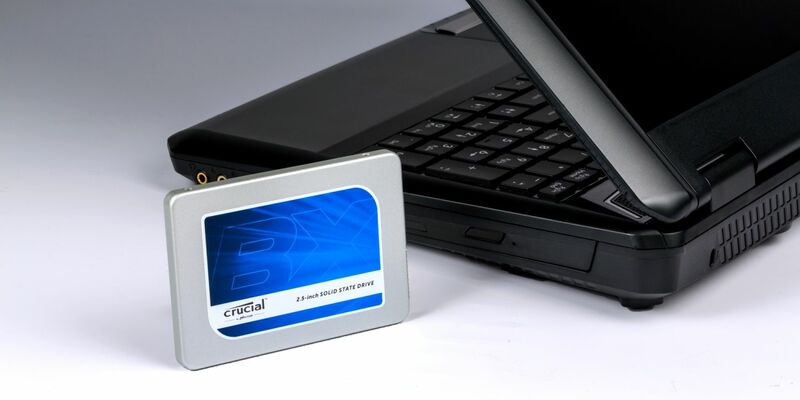 Use the Crucial® Advisor™ tool or System Scanner tool to find the right SSD for your computer.